We are a small people-focused company providing luxury self-catered apartments and chalets. Set up 10 years ago we operate exclusively in Val d’Isere. Based in the French Alps on the border with Italy, Val d’Isere is one of the worlds top ski resorts renowned for its amazing skiing, fun apres-ski and vibrant nightlife. Each season we look to hire enthusiastic, hard-working individuals with a passion for a once-in-a-lifetime opportunity to spend the winter season working in Val d’Isere. Our Housekeepers are the core of what we do and form the small team for the winter season. 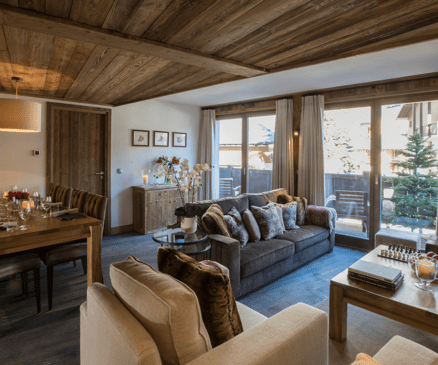 Working in our apartments and chalets on a daily basis and cleaning to a high standard our housekeepers get to know the properties and take pride in maintaining the quality for both guests and owners. Organisation and thoroughness are key to the role, along with a sense of humour and the willingness to go the extra mile. As well as the housekeeping staff we look to recruit two head housekeepers to supervise the cleaning staff and support the Housekeeper Manager. Previous cleaning experience and supervisory roles is desired. Housekeeper Manager – This role is the day to day management of all aspects of the housekeeping team. Supported by the head housekeepers the successful candidate will be responsible for the linen store, cleaning standards, recruitment during the season, staff socials and supporting the Resort Manager and director. Resort Manager – Overall management of Operations and Concierge service. Meet and welcome each guest and be the point of contact in resort. Val d’Isere has been a favourite with the British for years due to the great balance of English-speaking companies and bars and traditional French alpine village. Working a winter in Val d’Isere is hugely rewarding, with long hard hours worked over the peak weeks offset with great ski time and a very social nightlife during the quieter weeks. The Espace Killy ski area is made up of Val d’Isere and neighbouring Tignes. With over 300km of groomed pistes and endless off-piste opportunities you can ski every day of the winter and not ski the same runs twice. It has an average snowfall of 6m per year, and received a whopping 12m last year. The altitude at the village base is 1,850m, making us one of the highest and most snow-sure ski resorts in France. When you’re not working all this is at your doorstep. We actively encourage you to make the most of it and provide you with a ski pass for the whole Espace Killy area. We provide all our staff with accommodation for the duration of the season as well as weekly wages. As with all staff accommodation in the Alps it’s on the cosy side, but it’s comfortable and will become your home-from-home. Along with the accommodation we also provide a season ski pass for the whole Espace Killy area which includes Tignes. Seasonal workers in Val d’Isere also qualify for a locals discount card and insurance which we pay for.